A Term plan covers an individual (Known as Insured) for a chosen coverage amount (known as Sum Assured) and for specific number of years (known as Policy Term). The amount paid by the individual to avail this benefit is called as Premium. In the event of unfortunate demise of the Insured during the term of coverage, assuming all premiums due have been paid, the insurance company provides the Sum Assured to the nominee (the person nominated by the Insured to receive the Sum Assured). Life is unpredictable and nothing should come in the way of your family"s well-being and security. We want to give the best to our family in every sphere of life and need to ensure that all laid plans for our family are well secured, whether we are around or not. Get the Met Protect advantage today! 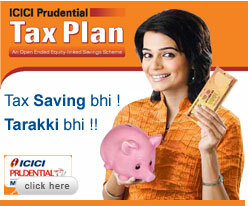 Protect your family at a low cost: Insurance cover of Rs.50 lakhs at as low as Rs. 400* per month. Convenient and Easy: Buy the policy in 4 easy steps at your convenience completely online. Long term coverage: Option to choose Policy Term up to 35 years as applicable.